Posted by Smart Idea Support Team on 9 Jan in FAQ [QuickMoney Android] How to use / FAQ [QuickMoney Premium] How to use / FAQ [QuickMoney] What is "Daily Budget notification"? 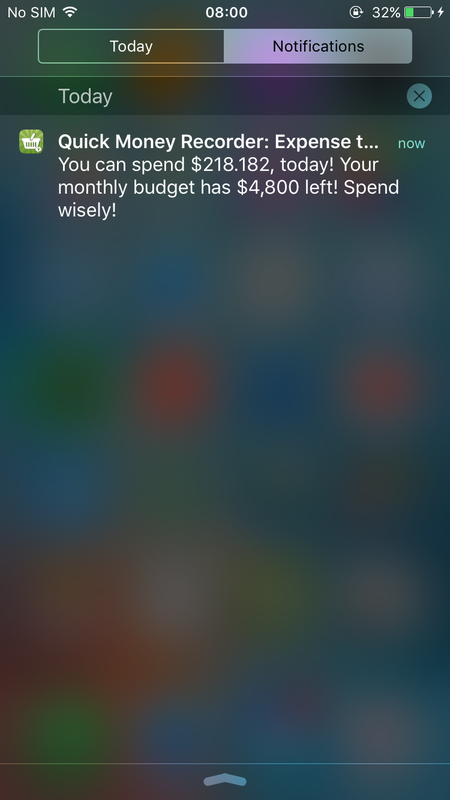 What is "Daily Budget notification"? What is "Daily Budget notification"? If this feature is turned ON, it will let you know how much you can spend on that day. The notification will be pushed at 8:00am every day.